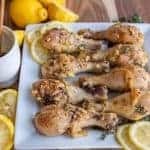 Delicious lemon garlic baked chicken legs that are full of flavor, easy to make, and loved by the whole family. 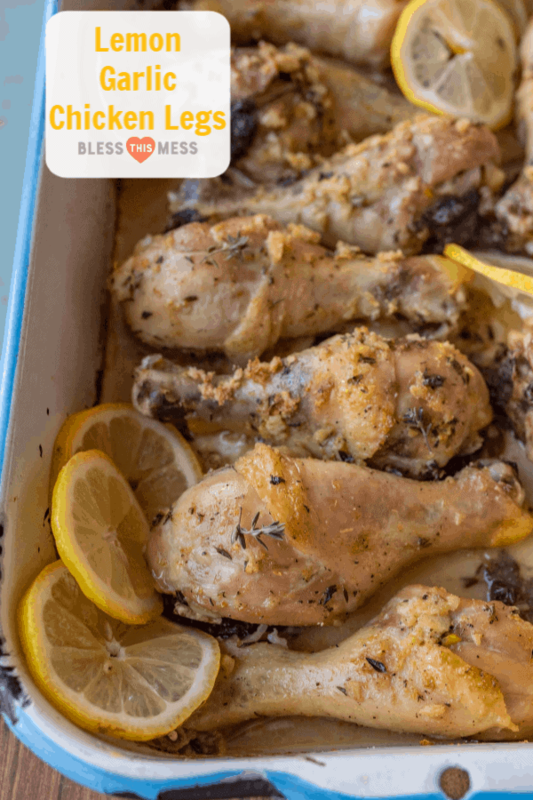 One of our favorite baked chicken legs recipes! Hello easy chicken dinner! This is such a simple recipe that turns an inexpensive chicken leg into something super delicious. 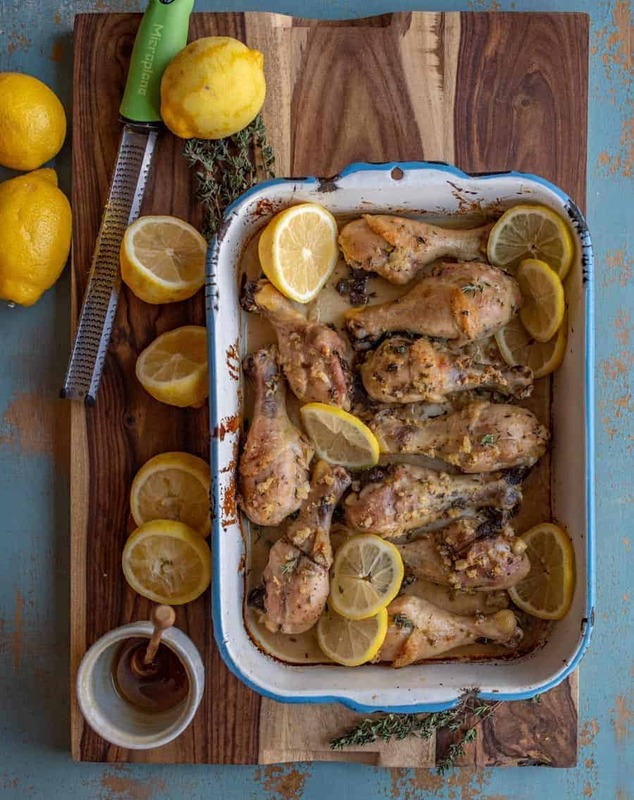 It’s easy to make and is full of flavor, and it’s a really great way to add a little ‘wow’ to your favorite chicken legs. The ingredients are simple; we’re just using salt, lemon, and some garlic (plus thyme if you have it!) and that’s about it. 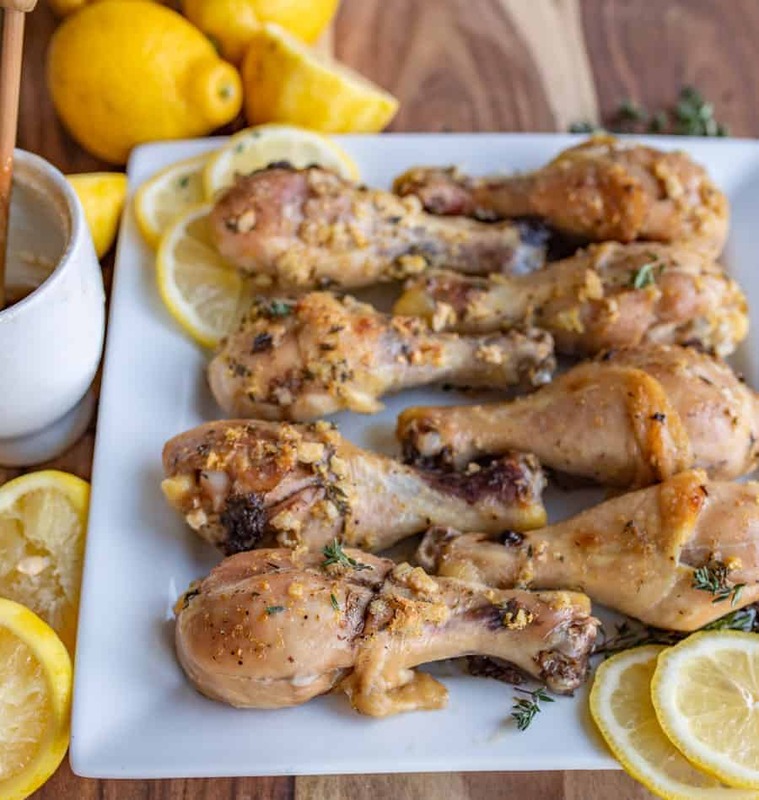 The lemon is bright, the chicken is savory, and it’s all the right things in one. You are going to love it. This is also a really easy meal to plan your favorite seasonal sides around. Serve it with fresh corn and watermelon in the summer, and a loaf of crusty bread and winter squash in the winter. With a classic main dish, you can serve whatever you like or have on hand (I have a long list of serving suggestions at the end of the post). No thyme on hand? Skip it all together OR pick another favorite herb. This would be great with fresh or dried rosemary, basil, or parsley. 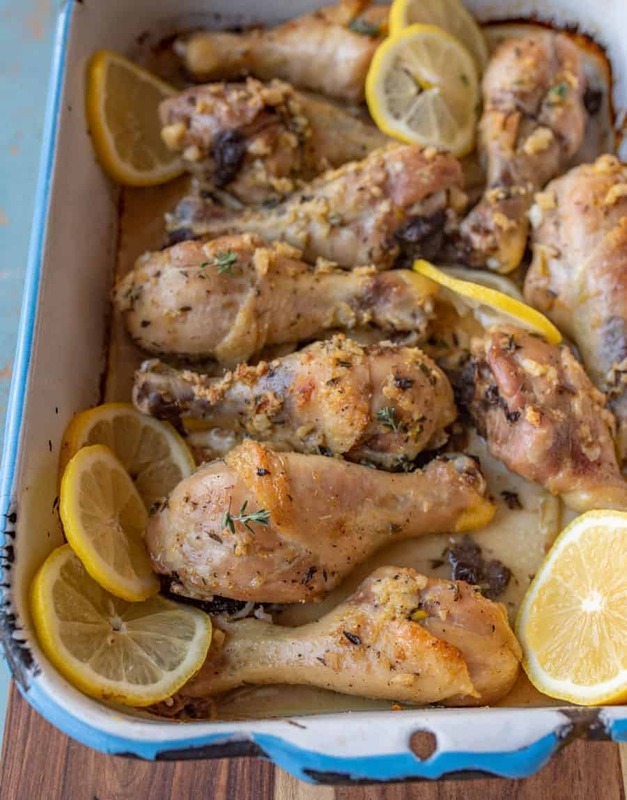 How long does it to bake chicken legs in the oven? Thawed chicken legs that are an average size always take really close to an hour to cook in my experience (when the temperature is at 350 or above). If your chicken legs are really large or partially frozen, that’s going to increase your cooking time by around 15 minutes. When cooking bone-in chicken, I always plan on a full hour to cook, with a little extra time just in case. So many serving suggestions and most of them are just as easy as the chicken! I can’t wait for you to add this to your dinner rotation, because it’s easy and satisfying and your whole family will love it.